The Vantec USB 3.0 to DP 4K Adapter is a device which enables a computer USB 3.0 connection to a DisplayPort 4K Ultra HD display device like a large LCD screen or a 4K projector. 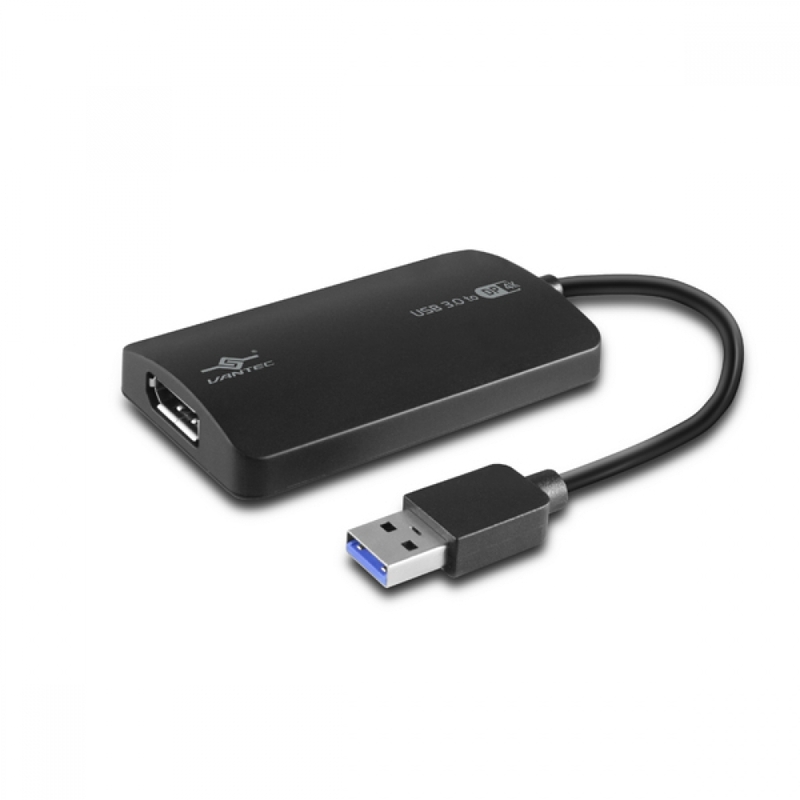 It unifies the latest 4K Display Technology with your laptop or desktop system with just one USB 3.0 port. Besides, with this convenient design, it can connect up to 6 display devices to a computer without installing extra video cards. 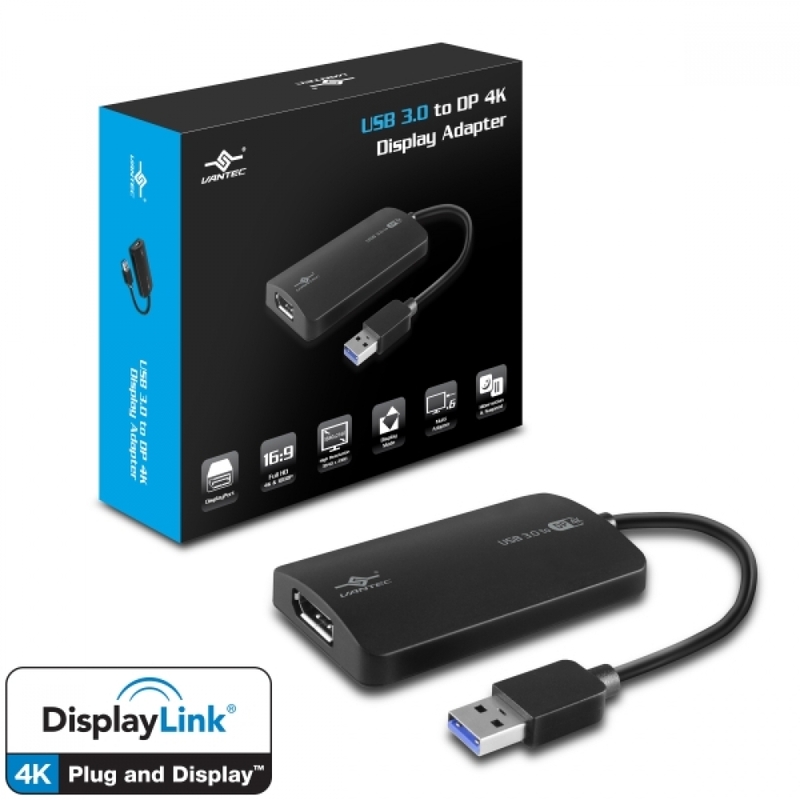 Simply install the driver, plug in this display adapter and connect the 4K DisplayPort display. 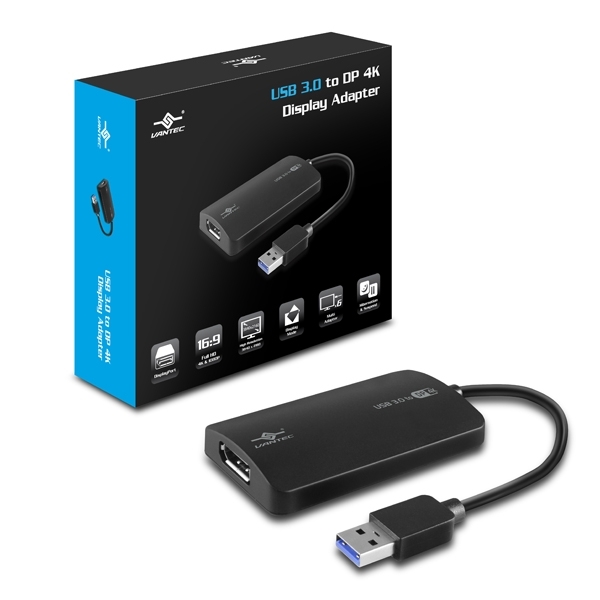 Previewing or editing 4K videos and images is now so simple with this display adapter using USB 3.0 Technology.